I finally pulled off a pattern that looks like there is a zig zag to it but honestly I just knitted in rows. 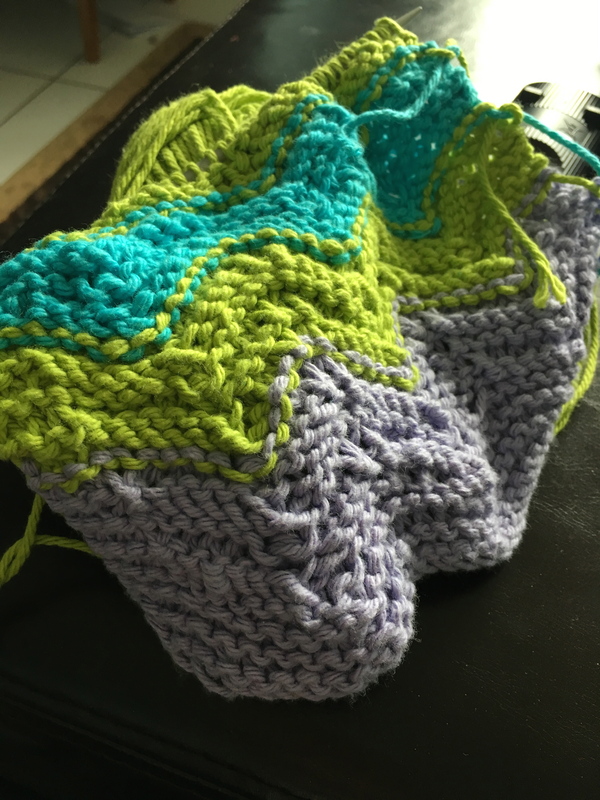 This is how I did it: knit 3, knit forward and back in the same stitch, knit 4, slip stitch one, knit two together, knit 4, knit forward and back in the same stitch, Repeat. It was so simple, I love the new design of my dishcloth that I am making. During this pattern, I also learned to add different colors which I thought would be super hard but it was a breeze, all you do it pick up the next color while stitching. So instead of going green on the next row, you stitch in blue. Make sure to keep at least 6 inches of yarn as a tail and you are set. Here is a pic of my latest work. Click here is you want to try this pattern for yourself. There is also I typo in the pattern only cast on 40 stitch not 43.